Samsung’s flagship Galaxy S4 has a 2600 mAh battery, one of the biggest ones on the market. However a full HD screen and a 1.9 GHz CPU may need even more power in order to last all day at full capacity. That’s why Samsung released the Spare Battery Charging System. Instead of using an extended battery that ruins the design of the device and are also very thick, you can now buy an extra battery for your device. It is an original Samsung product and it will basically double your battery time. You no longer have to worry that at the end of the day you will get caught with 0 battery life. 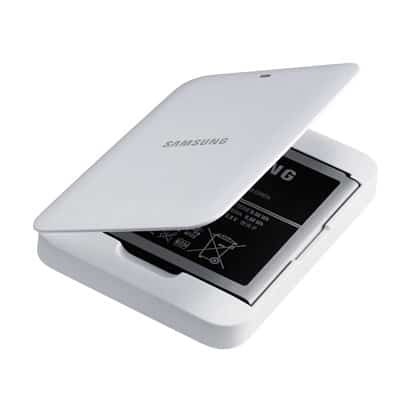 One of the benefits of the simple design from Samsung is the fact that the battery can be removed and easily replaced. This is why the spare battery is a very good option. You can purchase the unit directly from Samsung at a price of $49.99.